Kathy has a passion for travel, meeting new people and seeing new places. Having visited places as far afield as New Zealand, Israel and America for pleasure and business: More recently cruising round the Baltic, Norway, Iceland, the Mediterranean and the Canaries. She is an experienced destination lecturer, recently cruising with Celebrity to the Baltic and Mediterranean. A member of the Speakers Club of Great Britain having received the advanced speakers certificate. Kathy gained a Doctorate in Agricultural History and Ecological Management, from Imperial College London, in 2004. Growing up in the Yorkshire Dales Kathy has a love for the countryside and history. She has worked in agriculture and conservation since 1980. She presently runs a consultancy for land owners and farmers, advising on conservation (in the widest sense of the word), ecology, and hydrology. She is an accomplished crafts woman from fused/ leaded glass and Church bell ringing to lace making, embroidery, and quilting (exhibiting at the festival of quilts Birmingham NEC). 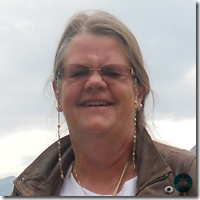 Kathy has many year� s experience as a successful lecturer and mentor. Having experience both as a civil servant and in private consultancy, organising lectures, activity workshops and study trips in England. She is presently working with Reading University mentoring 2nd year Students. Kathy has a range of Presentations on; Destinations, British traditions, and the countryside, which can be tailored to destinations or seasons as required. �	St Petersburg; a Glorious Venice of the north. Romanov�s and Rivers. From the foundation of the city by Peter the Great, the Tzars built the splendid city of St Petersburg from the Bronze Horseman to the Church of the spilt Blood. The story of the city is intertwined with the tragic tale of the Romanov Family. �	Copenhagen, Rostock (Warnamunde) and Gdansk; The Hansiatic League and Baltic trading ports. Small fishing villages grew to become important trading ports in the middle ages with the Hansiatic league. The market square of Rostock is now UNESCO World Heritage site. �	Stockholm; from fairy tales to majestic mansions; from folk music to Abba. Stockholm is a capital of contrasts. �	Vikings and their Voyages; Vicious and vivacious, Where they went how and why. - Norway and Scandinavia is the home land of the Vikings, but why did they leave to go a Viking? and where did they go? �	The Northern lights; dancing maidens or Warring giants. - This spectacular natural phenomenon, scientific facts or Norse mythology? Bounteous Norway; In the rugged landscape and dramatic fjords were carved out of the mountains in the ice age, the flora & fauna is as distinctive as the spectacular scenery. Norway has and wide variation of habitat and climate. The flowers and animals have adapted to the harsh and variable conditions. They are amazing in their adaptability to survive is some extreme conditions. �	Art in the city, Barcelona and Antoni Gaudi. �	Magic of Monte Carlo, Is it all casinos and racing cars? �	Landscapes of the Amalfi coast, from the back streets of Naples and Pompeii to the island of Capri. The romance of Italy. �	Merchant, explorer, and writer, who was Marco Polo? �	Israel; a country of contrasts. from the hill fortress of Masada to the modern city of Tel Aviv. �	Ephesus; underneath the surface. �	Glorious Greenland � Flora and fauna, and history. �	Volcanoes in the Sea � Geology of North Atlantic. �	Noble Savages - Inuit and Eskimos � The indigenous peoples of North America. �	Wondrous Landscapes � The east coast of Canada and Newfoundland . �	Life on the Canadian Edge � Struggles of a New Nation. �	The New Forest - medieval hunting Forest from 1066 to 2016. �	Droves �our accident lanes and roads. What tales they can tell! �	Ringing the Changes � A heavy metal band; tales from the bell tower; church bell ringing. �	Through a Window Brightly- Stained Glass history - tailored to season/ destination. �	Country Lanes � Fact and Fiction of Trees and Flowers � tailored to the seasons. �	Myth and Magic of Water Meadows; History of water meadows in Wessex. �	The Art of the Drowner; Ecology of water meadows. Viking Sun - SU180519	Viking Homelands - Bergen to Stockholm - May 19 to June 1st 2018 - Lectures on history and destinations and escorting tours. Celebrity Silhouette - Israel and the Mediterranean Cruise - 29th September 2017 - Lectures on history, culture and religious sites well received by all faiths.